Learn how to protect your business from fraud! Many SME owners are focused on managing operations and revenue generation, resulting in limited attention being paid to accounting controls and processes. These oversights can lead to fraudulent schemes by employees and / or third parties that can span years. Managing fraud risk will always be an ongoing and evolving process, where prevention is better than cure. Also, SME Centre@SICCI would like to invite you to join us for a Financial Management Group Based Diagnostics where we will use frameworks to access your company’s financial health. Also, learn about Employee Engagement and Workforce Singapore(WSG) initiative to help advance your business. There will be an engaging Q&A session, so come prepared with your burning questions! Ms Daphne Wong is the Director of Investigations at MDD Forensic Accountants, a global forensic accounting firm. Tracing its roots back to 1933, MDD is one of the world’s top forensic accounting firms. Daphne is based in Singapore and specializes in conducting fraud and corruption investigations. With a dual background in commercial litigation and forensic accounting, Daphne is uniquely placed to work with clients in identifying and mitigating fraud and corruption risks as well as managing and investigating allegations of fraud and corruption. Based in Singapore, Daphne has conducted multiple investigations into allegations of fraud, theft, conflicts of interest, bribery, kickbacks and employee misconduct across Asia. Mr Aaron Wan, Manager, Business Advisory has worked in listed companies and social enterprises. He has progressively taken up roles ranging from Account Manager, Project Sales Manager to Brand Representatives. His experiences, together with ACCA professional qualification training, allows him to share with aspiring entrepreneurs and progressive SMEs on best practices and corporate governance. 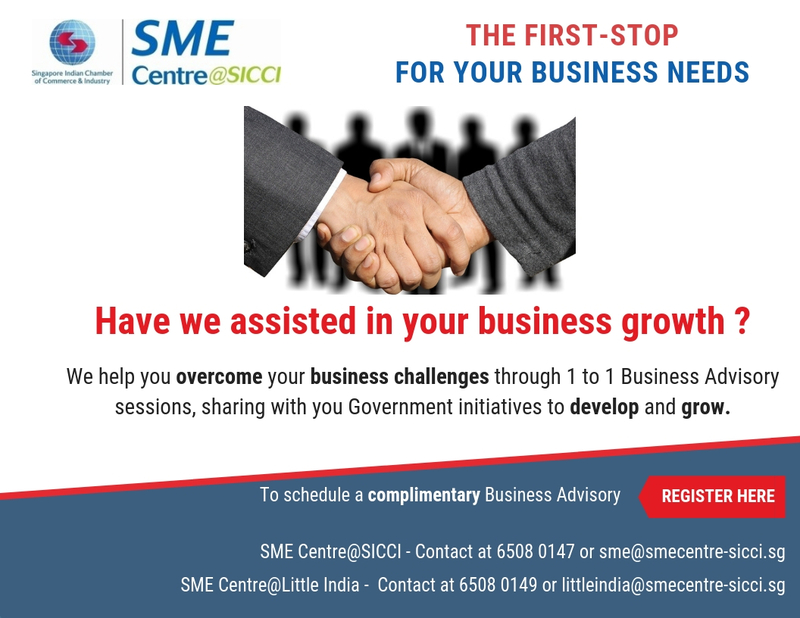 Mr Stephen Nathan, Manager, Business Advisory with SME Centre@SICCI focuses on helping employers meet their hiring and training needs and to tap on to Government initiatives that help them advance in their business. He delivers workshops, focusing on helping SME owners be aware of Workforce Singapore(WSG) initiatives such as Adapt & Grow and Hiring & Training assistance programmes.